Meet the very first fully functional online PDF solution. With Soda PDF Anywhere, you can access your features on any device with a web browser. It’s designed to accommodate your busy lifestyle, offering a complete PDF application you can take with you wherever you go. 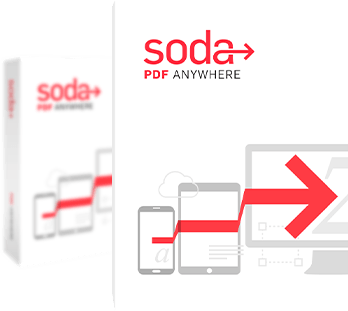 Soda PDF is built to help you power through any PDF task. You name it, it can handle it. Create PDFs from 300+ file formats. Convert to an array of file types. Edit the content of your documents. Create custom forms. Annotate your files. Read your PDFs and digital publications in 3D with our unique page-flipping technology. Modify the content and customize the structure of your documents to better suit your needs. Strive to perfect your work by annotating your docs and collaborating with others. Ensure peace of mind with professional-grade data protection. Add a 256-bit AES password. Restrict permissions. Send and collect legally binding e-signatures. 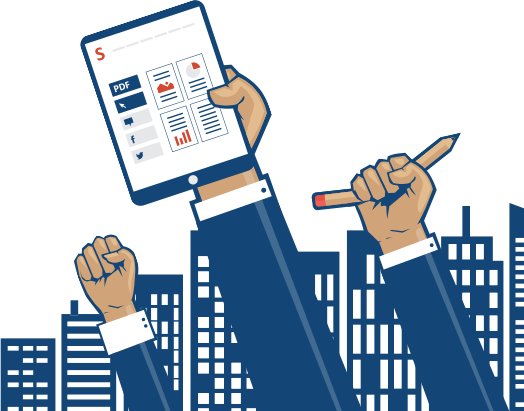 Create fillable digital forms such as invoices and surveys. 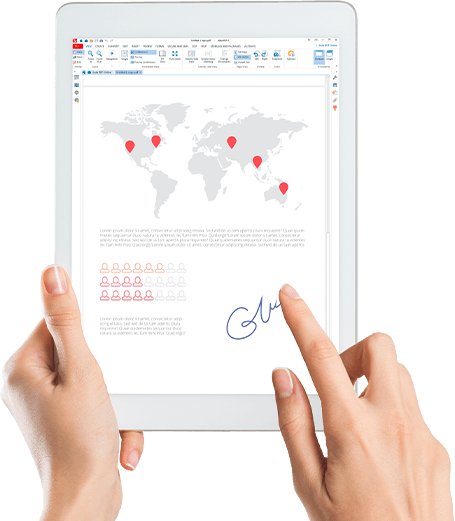 With the innovative Optical Character Recognition (OCR) feature, you can transform scanned documents and images into editable PDFs. Connect to OneDrive, Dropbox, Google Drive, Box, and Evernote. Use most features on any device directly through your web browser. 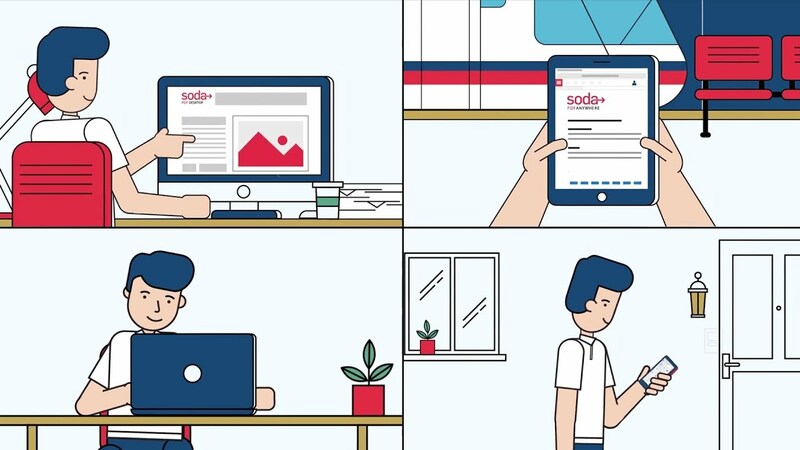 With Soda PDF’s brand new E-Sign service, you can rest assured you’re dealing with the best and most secure e-signing tool on the market. E-Sign will take care of all your signing needs: you can prepare, send and track the status of your packages directly through Soda PDF. Recipients don’t even need to register – they can e-sign using any device with a browser. Soda PDF offers advanced security and collaboration features, is easy to adopt, and increases productivity. Best part is, you can access all Soda PDF functionalities in the cloud, from any mobile device. 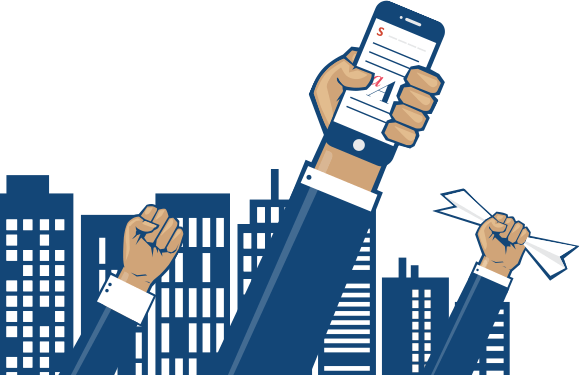 You can even prepare and send your contracts for e-signature directly through Soda PDF. But wait - there’s more. With multiple deployment options, volume licensing discounts and a dedicated support team, businesses have it all. Experience the first-ever fully functional online PDF solution. It’s packed with brand new features specifically designed to boost productivity, including E-Sign, Soda PDF Online, Bates Numbering, and Batch Convert. Soda PDF 10 now supports PDF 2.0 and all of its rich new features! 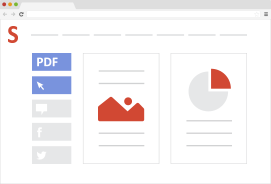 PDF 2.0 is the first update to the PDF format in 10 years and brings along improvements with security, accessibility, and the overall PDF experience. Learn more about all the amazing enhancements that come with PDF 2.0! 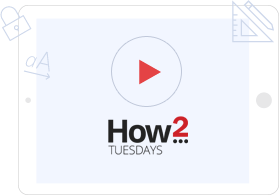 Learn how to make the most of Soda PDF with our tutorial videos and extensive knowledge base. Soda PDF offers a free online PDF reader, PDF creator and PDF converter. Convert PDF to Word, PDF to Excel, and PDF to PPT.